Have you sussed what makes your team tick? 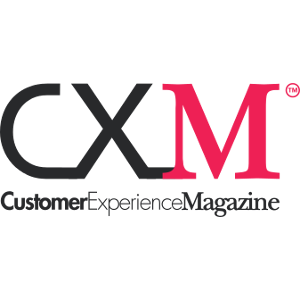 What’s employee engagement got to do with the customer experience you ask? Well, have you ever had a good experience when served by someone who wasn’t engaged? I believe behaviour breeds behaviour. So a happy team equals happy customers. A miserable team generally leads to a miserable customer experience. With even your most enthusiastic team members you can’t simply leave them to it in the hope they’ll stay that way. I believe as a minimum there are three things everyone needs. These are: Direction and knowing what’s expected of them, Recognition and reward for a job well done and being Listened to and supported when needed. I’d like to explore those in more detail another time. That said everyone is different. When I’m running workshops one of the exercises I often do is to get people either talking about or even drawing images of an accolade or something they’re proud of, be that in or out of work. Just by getting them talking about these makes people feel good, as well as helping me get an insight into what’s important to them. But what’s also interesting is the variety of things that are important to people, some of which I’d never have guessed. I sometimes do a variation of this with managers asking them to draw their idea of motivation and engagement. Nine times out of ten I get a £, and invariably I get drawings of trophies, and winning. But again a whole host of other ideas and themes go up too. Last week we had pictures of trees and mountains, families and friends, of sporting activities, to name but a few. Everyone assumes money is a key motivator. There’s no denying it’s important; I’m sure none of us would come to work if we weren’t getting paid for it. But does it really motivate or engage people? I don’t believe so. But taking it away will definitely leave people demotivated and disengaged. So forgetting to put through their overtime, delaying their pay review, quibbling over tips, or stalling on expenses claims, will all inevitably have a negative impact. In the same way as any other ‘hygiene factors’ such as safe working conditions and giving them the right tools and resources for the job. No one is going to say “wow” when you provide them, but boy, will they notice when you take them away. Another perception is our team aren’t driven by the same things that drive us. If I ask managers to list their own drivers and compare this with those of their team invariably these lists look very different. Why is it that challenge, achievement and personal development often feature on the first list but not the second? And money, job security and making the job easy often feature on the second list but not on the first. If I ask which one of the lists they think is most accurate, naturally it’s their own! Because nine times out of 10 the manager has never asked the question nor had a discussion on what’s important to each of their individual team members. It’s all based on assumption and perceptions, and sadly so often these assumptions and perceptions can be way off the mark. Being overly direct and asking ‘what motivates you?’ might not get you the information you’re looking for. Using a more conversational approach and asking what they enjoy about certain tasks and why; how they feel about particular aspects of their job can be more enlightening. Conversely asking about the things that disappoint or frustrate them, and what they’d change if they could. Asking casually about how their weekend or what they have planned for the evening or their day off, and showing an interest in what they get up to outside of work. Conducting a similar exercise to the drawing exercise I describe above can be useful to identify what’s important as well as helping each team member understand what’s important to their colleagues too. But how does knowing what’s important to someone outside work help you or them in work? Obviously it’s not going to be possible to have them running up mountains, bringing the family into work, or playing sports all day long! For example do they have a creative streak in them, do they get involved with highly competitive sports or activities, do they get involved with helping the community, supporting and caring. Rather than making everybody mediocre at everything they do, why not tap into those strengths, talents and passions so they excel in certain areas, and work as a team to bridge the gaps in others’ abilities or interests? So, stop trying to guess what makes your team members tick. Ask them! 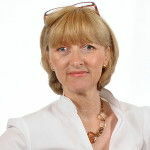 Caroline is an author, trainer, and consultant on customer services and the customer experience, and founder of Naturally Loyal who helps businesses to get more sales through their existing customers. previousCould you be an Awards Judge?